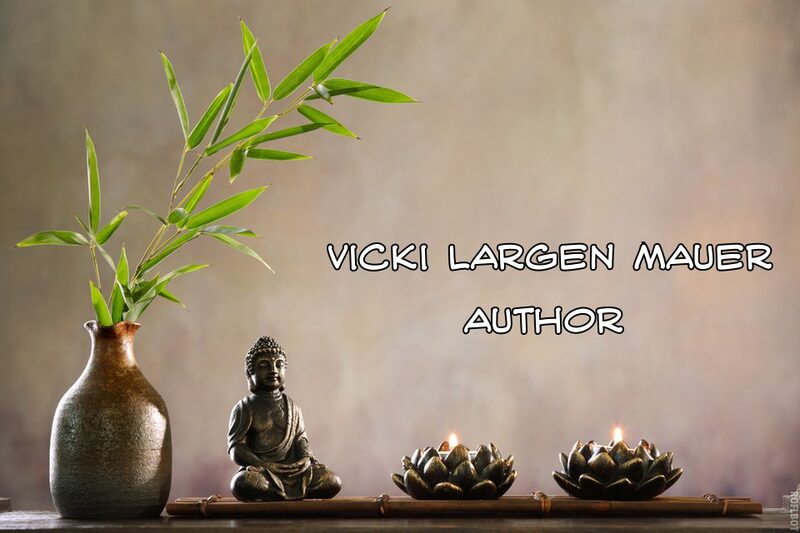 Vicki Largen Mauer is a student of ancient wisdom and is on a quest to teach the secret to opening the hidden gateway within each of us that allows celestial communication. Vicki is a Retired Certified Rolfer, a Medical Hypnotist, Past Life Regressionist and practices Quantum Healing Hypnosis Therapy, developed by Dolores Cannon. 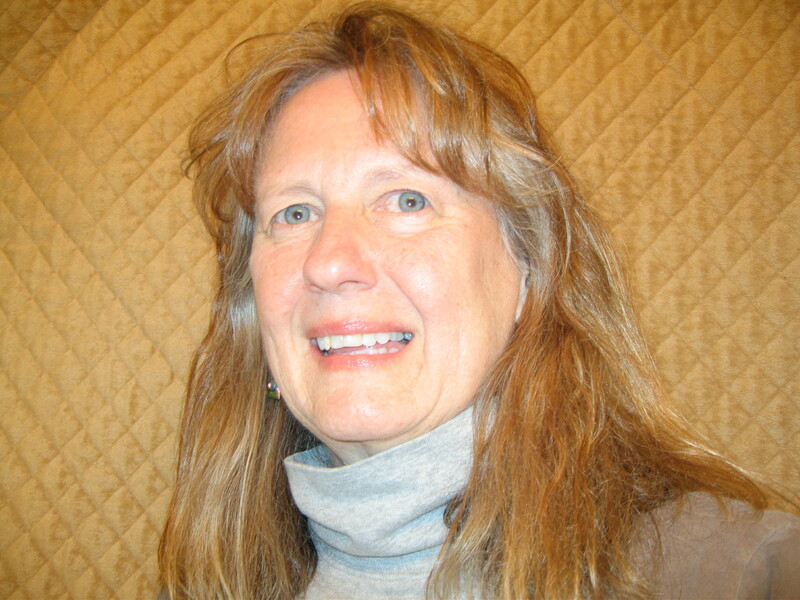 Vicki is also trained in Cranial Sacral Therapy and holds a B.S. in Holistic Nutrition. She remains in communication with the higher realms through trance work and light induced meditation and continues to motivate others to attain an expanded awareness and embody a closer connection to the natural earth. Vicki lives on a farm in Southwestern Virginia with her four dogs, Pearl, Ravi, Cedar and Shiloh. Observing a sustainable lifestyle, Vicki practices the art of organic gardening and canning food for winter usage. She raises organically fed chickens and sells eggs to neighboring residents and a local health food store. She loves being outdoors in nature, hiking with her dogs, reading, writing, and socializing with friends. The purpose of this blog is to get a critical message to my readers. There is a master plan laid out by our ancient ancestors regarding the spiritual ascension, which we are now approaching. You may wonder how we will spiritually ascend when the state of our society is in chaos and the world seems to be collapsing around us. The time is now to use our voice to speak our beliefs and reestablish our spiritual roots. A sense of urgency permeates the air. For the last 25 years my interest and training in hypnosis have lead me toward seeking an understanding of our higher dimensions. And yes they do exist! After becoming proficient in achieving deep trance states and traveling to “other places” beyond our tangible reality, I felt compelled to explore a more organized approach to communicate with spirit guides. I was mentored by Jim Branch, a medical intuitive, who later was identified as my twin soul. (I speak in detail about Jim in Cosmic Conscious Communication) My discipline and commitment to this work attracted beings from a higher dimension who made themselves known to me. This is when I began a journey into a world of communication with celestial entities. Through this communication I learn that these entities have watched over me, guided and taught me from the very beginning of my incarnations on earth. In my book, Cosmic Conscious Communication: Reunion with a Celestial Intelligence, I share my challenging journey including the trials and tribulations my mind and body endure as I learn to make the changes needed to allow this dimensional communication to occur. These celestial entities requested that I share their message to the world. I pondered this request for years before I gathered the courage to move forward and fulfill their wish. Writing Cosmic Conscious Communication was the first step in getting a message to the public. The celestial entities, a Council of Five within the Great White Brotherhood, asked me to first write my personal and practical experiences of opening to communicate with them. They said my captivating experiences would help others understand who I am as a person and relay the dedication and responsibility required to connect with celestial beings. They claim it is essential to teach how to reach the states of consciousness needed to undergo the consciousness ascension. This blog is a medium to share the many messages given by the Council. They feel it is necessary for the human race to know and understand that we are not alone. As a race, it is important to take responsibility to prepare for another way of existence. Our world is changing and we must change with it. Not through violence, war or protesting, but using the consciousness to change the vibration of self and the planet. There are numerous layers to the messages from the Council. Topics I plan to touch upon are: The Consciousness Ascension and what it means, understanding we are not alone, prophecy, the master plan, the inner journey, time warping, entering the light, our quantum brain, preparing the body and mind, preparing your environment, living a life of joy, spreading wisdom, messages of hope, opening the gateway, using your breath to open channels and many more intriguing subjects. If you have a topic you’d like me to address, please contact me. Please join my email list so you don’t miss out on the articles inspired by this Celestial Intelligence. My next book, The Secret Gateway to Universal Intelligence, will explain in detail the disciplined steps needed to reach the higher states of consciousness to communicate with celestial beings and how to prepare for the spiritual ascension.